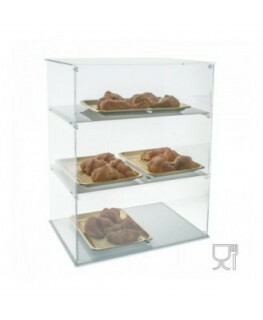 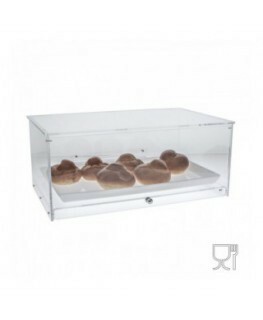 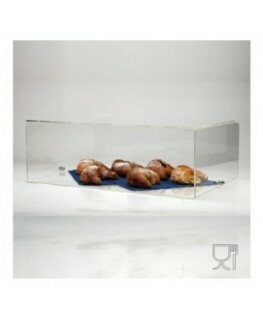 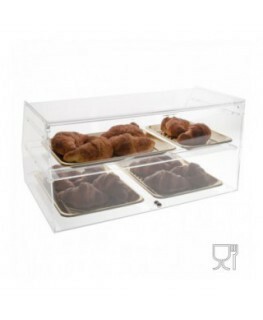 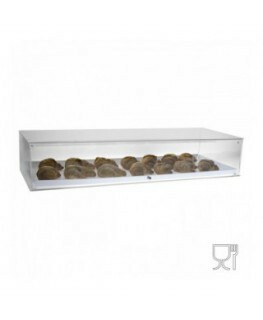 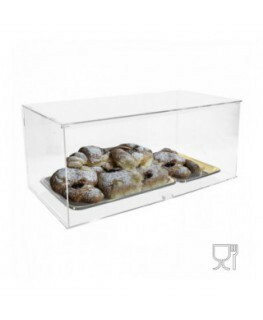 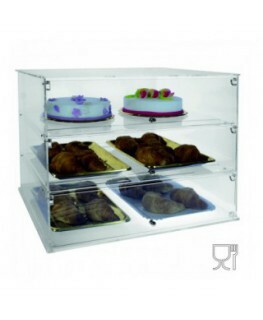 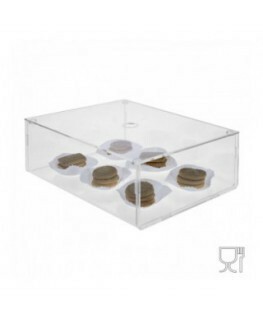 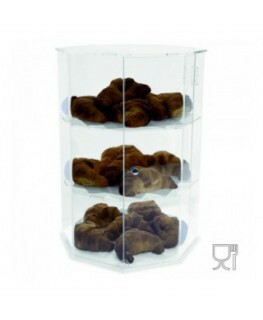 This countertop display is perfect way of displaying food at cafés, cafeteria, etc. 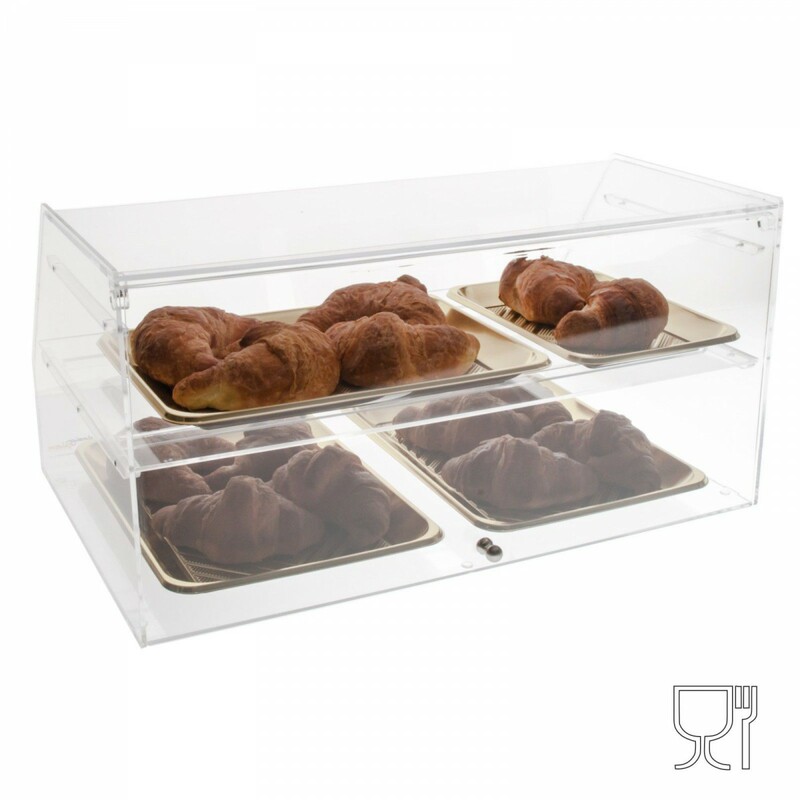 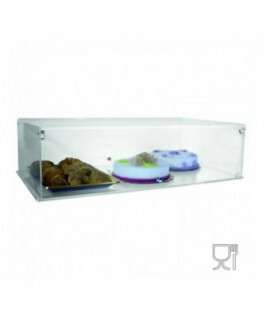 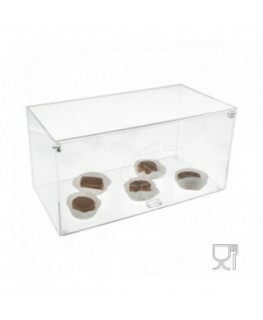 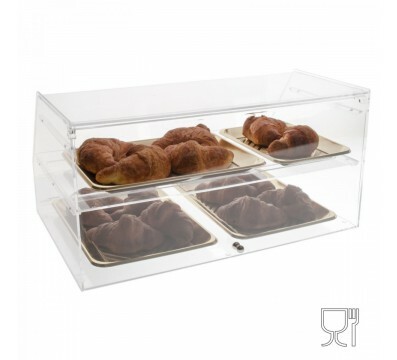 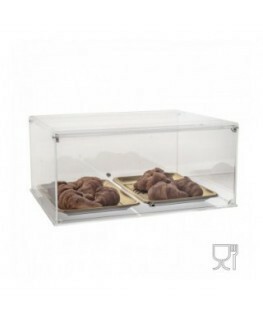 It is equipped with a flap that protects food from external agents and ensures data integrity. 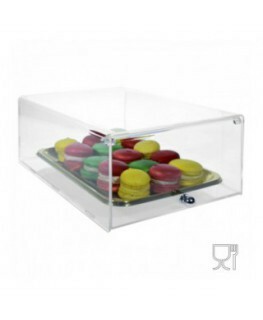 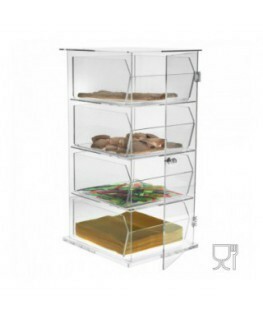 Made out of clear plastic, which allows the customer to see the products, the display is very resistant to scratches and easy to clean.